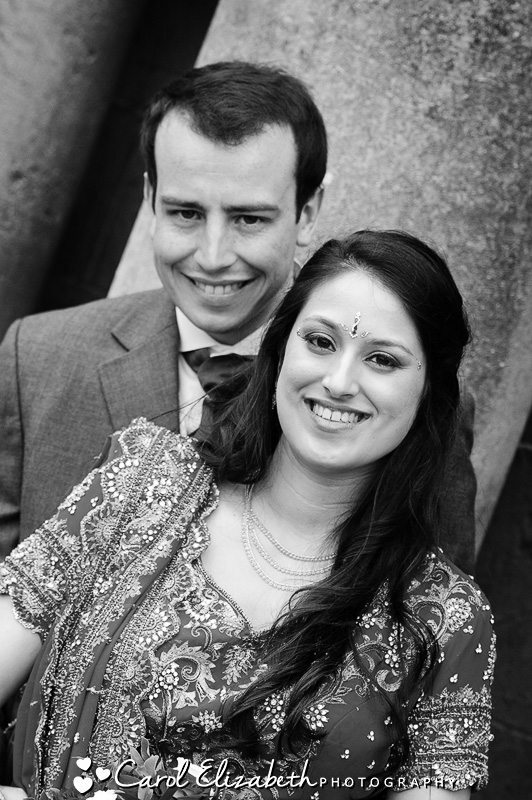 I first met Rami and Andy a few months before their wedding for a pre-wedding shoot, and they are a delightful and fun couple who are very much in love. 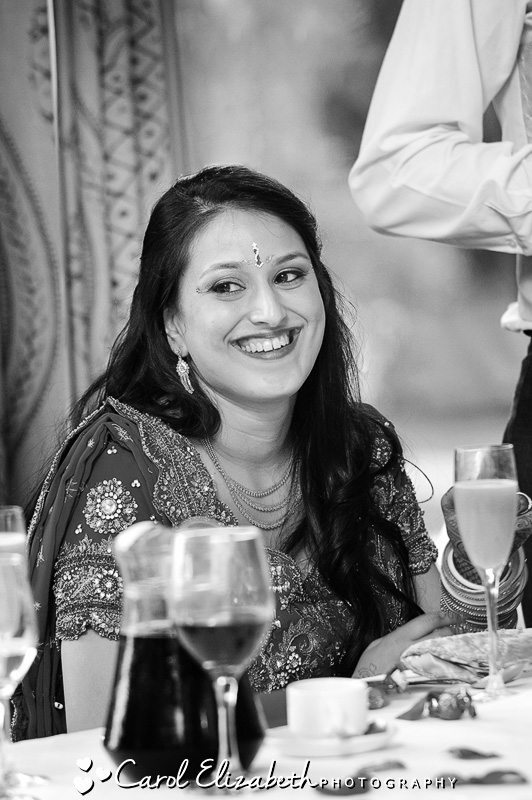 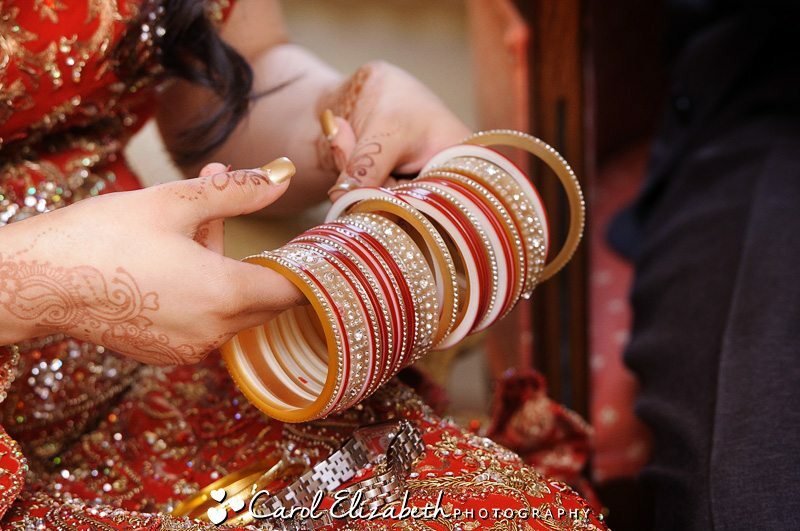 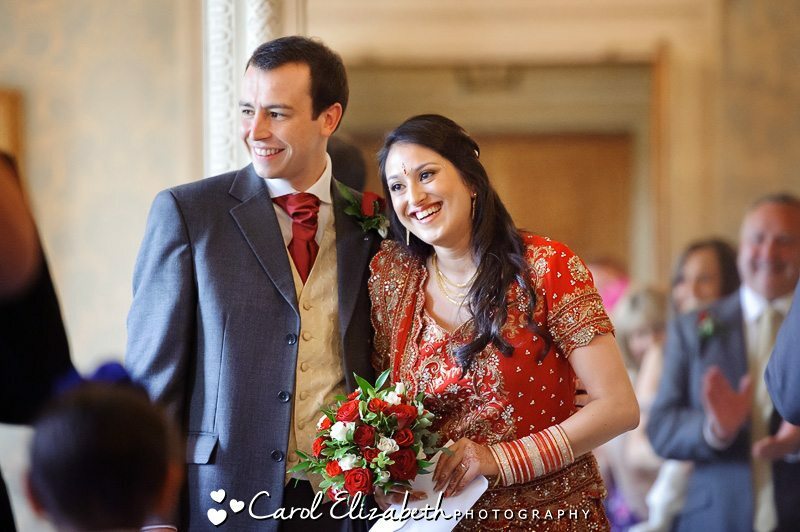 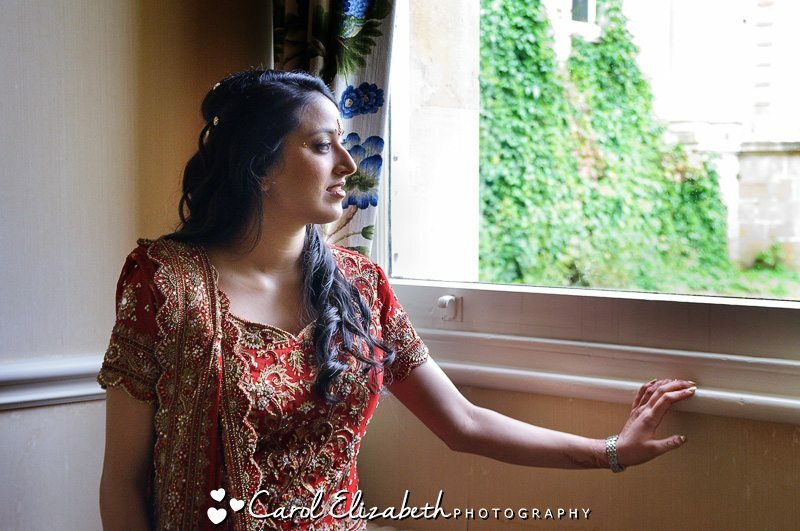 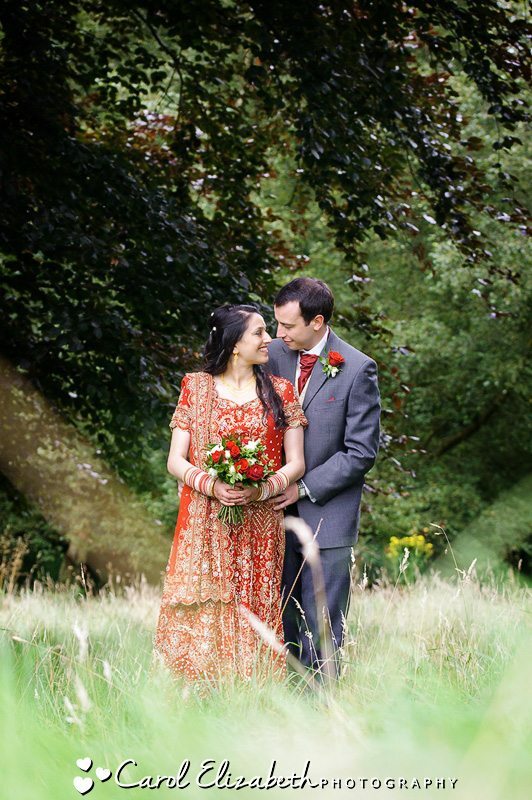 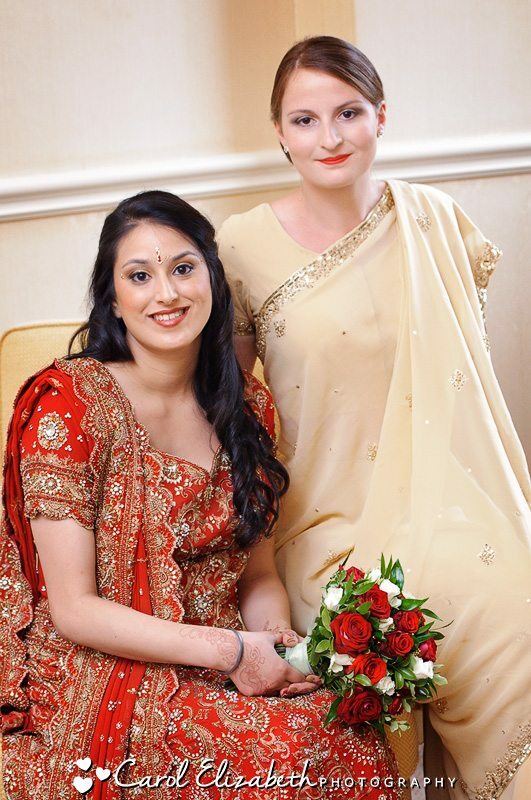 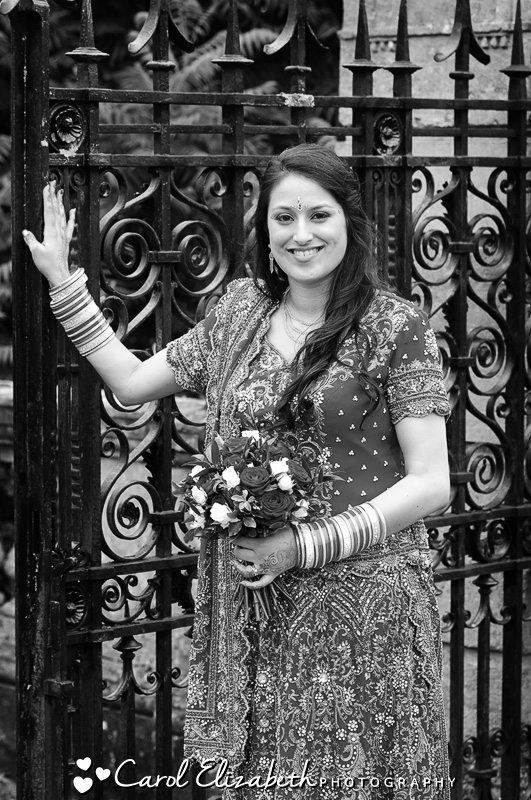 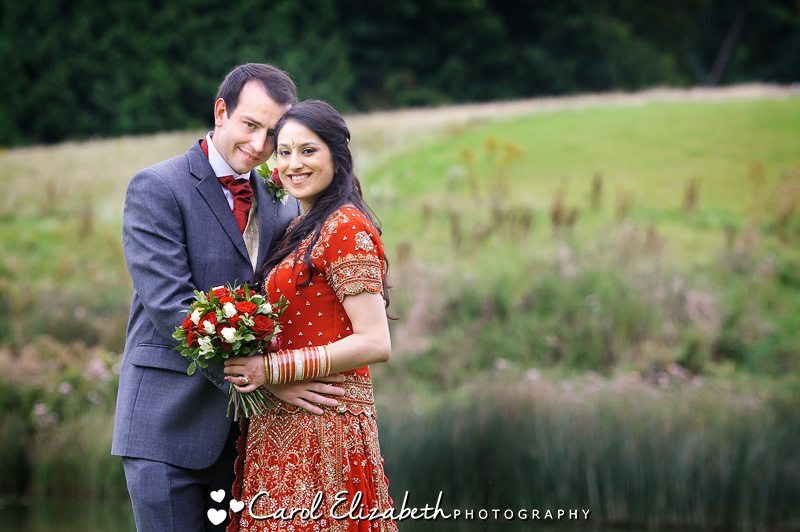 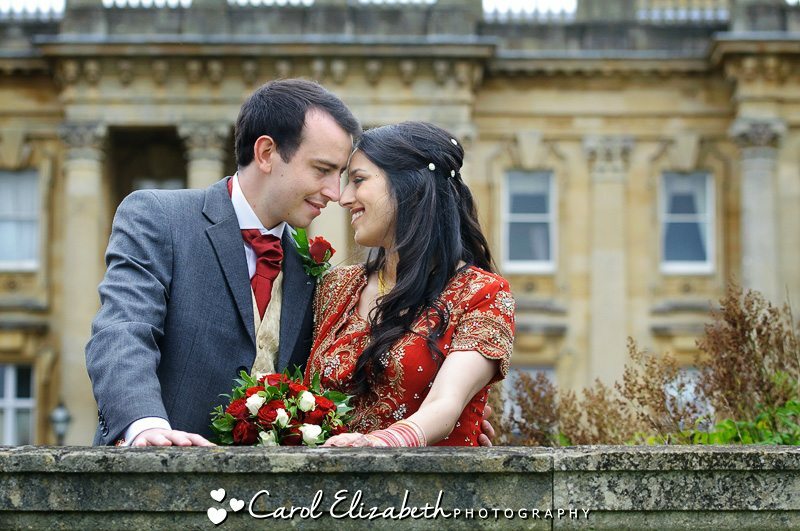 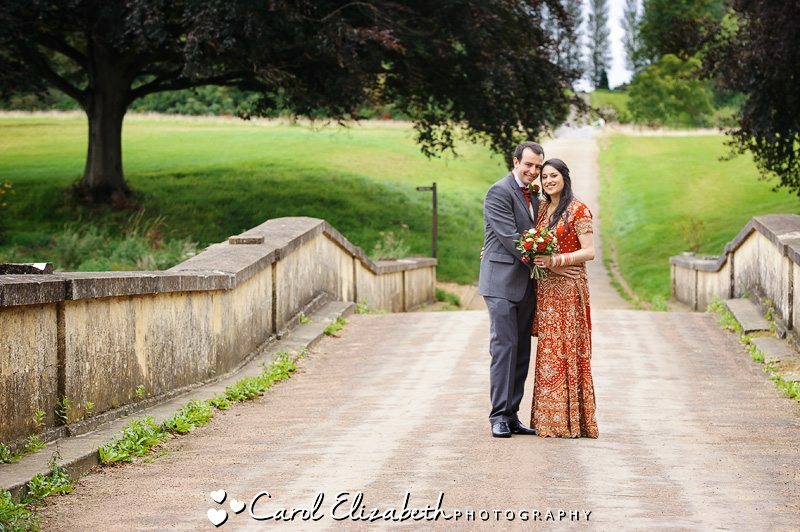 Rami was dressed in traditional dress for her Heythrop Park wedding, and the red and gold colours looked vibrant and beautiful against the backdrop of the buildings and the surrounding gardens. 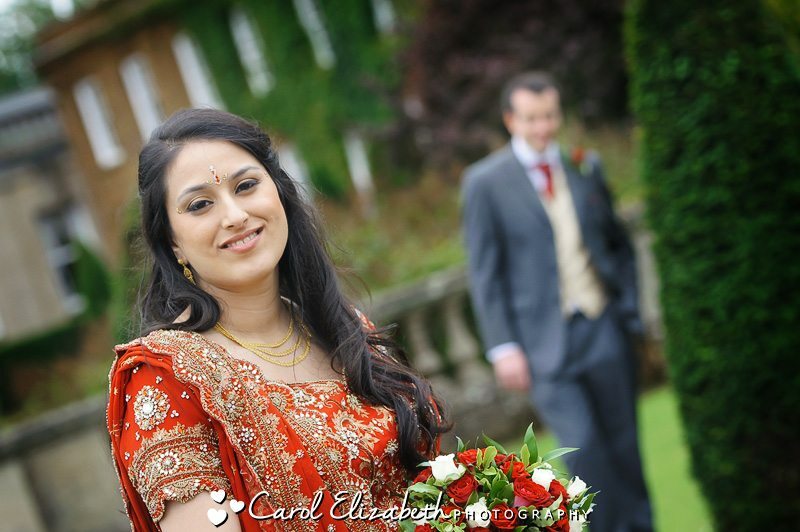 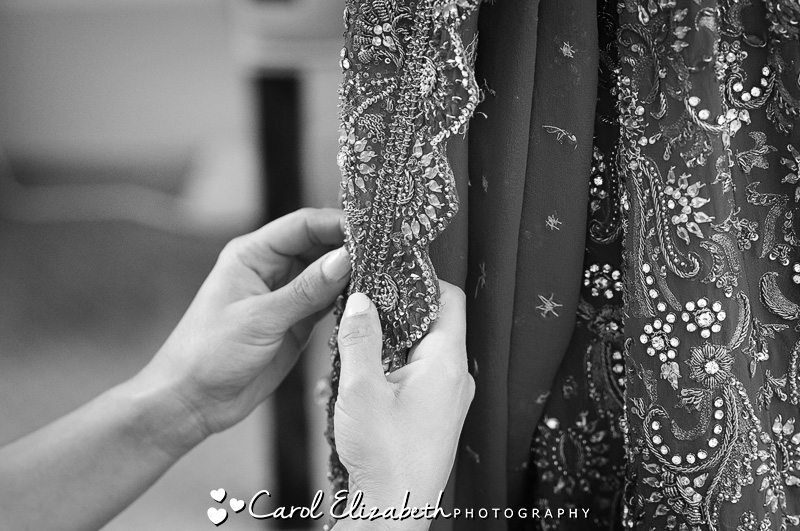 I photographed Rami’s wedding preparations, make-up and jewellery whilst Aimee photographed Andrew with his groomsmen before the ceremony. 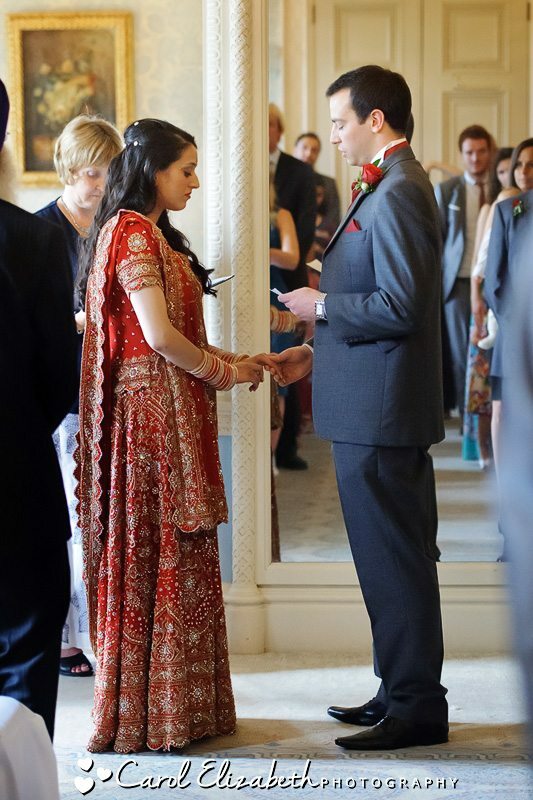 Rami entered the ceremony room looking radiant, and the ceremony was very emotional watched by a room packed full of family and friends. 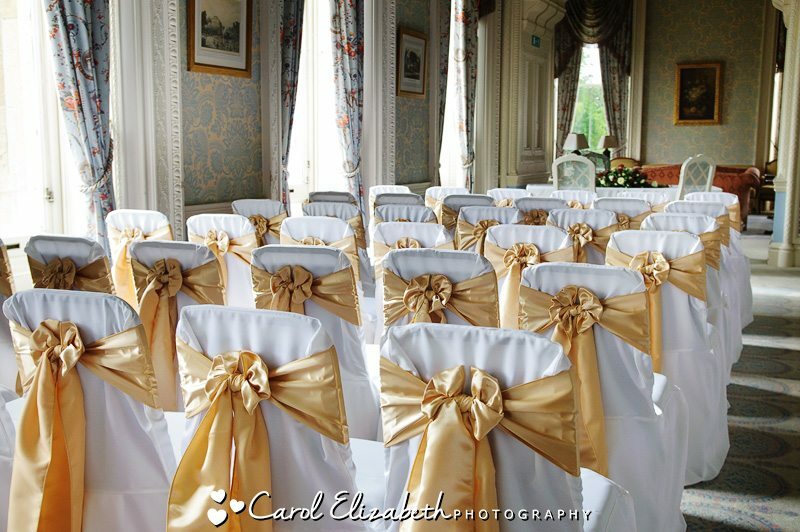 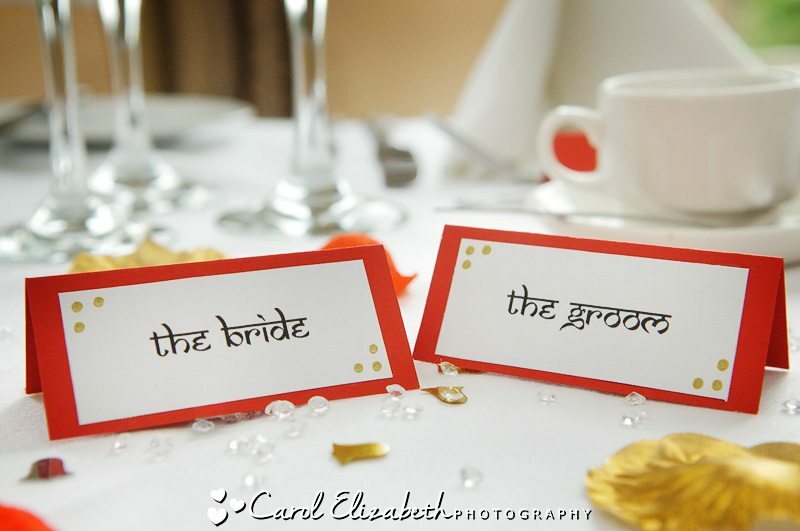 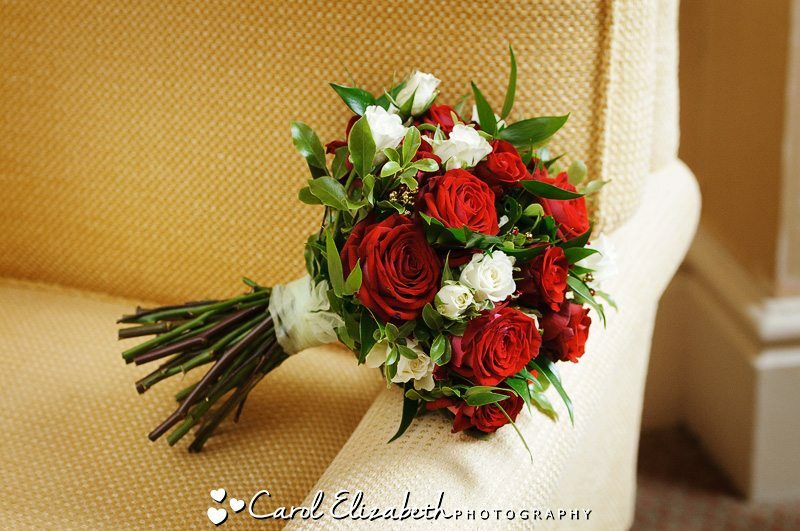 The chairs were decorated with gold sashes in keeping with the colour scheme as well as stunning red roses, which are my favourite flowers. 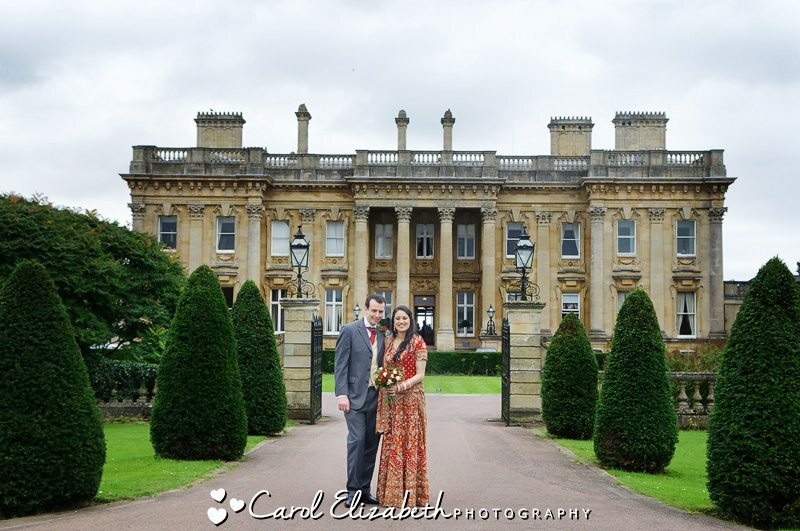 After they ceremony and drinks on the terrace, we accompanied the happy couple around the gorgeous grounds of Heythrop Park for some wedding photography portraits. 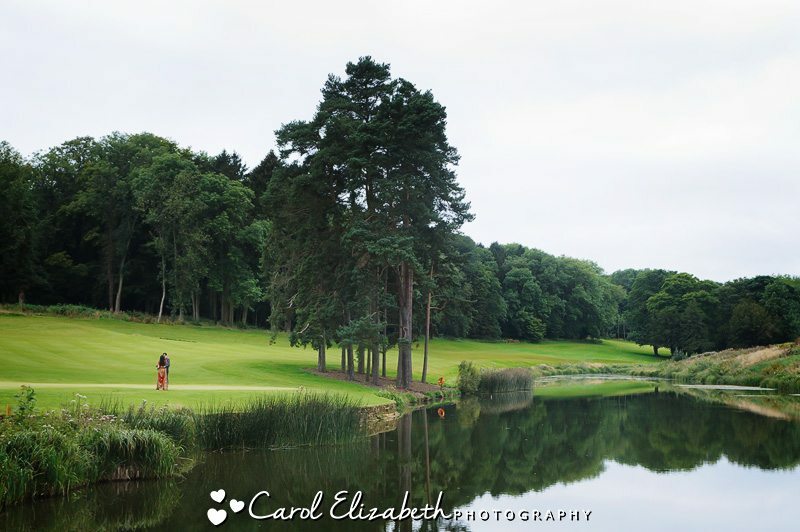 Rami and Andy took a ride on a golf buggy down to the lake, where we took some photos from different angles showing the vast golf course which is set in the grounds. 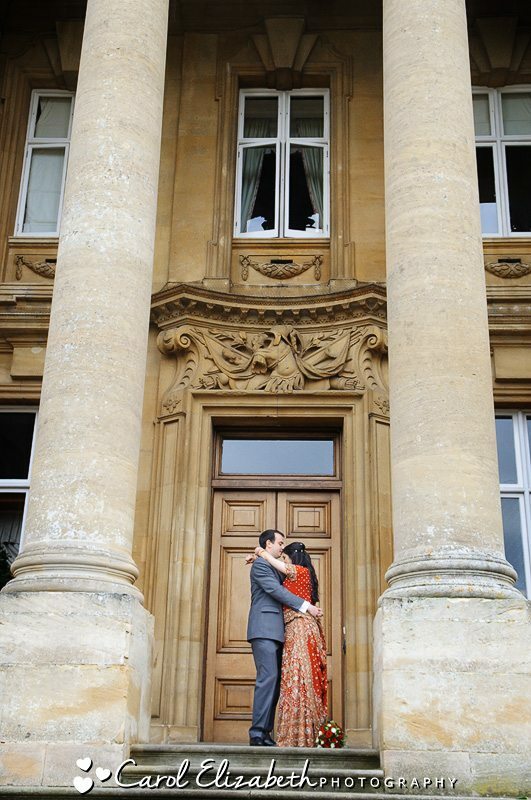 We also took a stroll to the wooded area, then back to the main building for some photos with the Hotel and columns as a dramatic backdrop for the portraits. 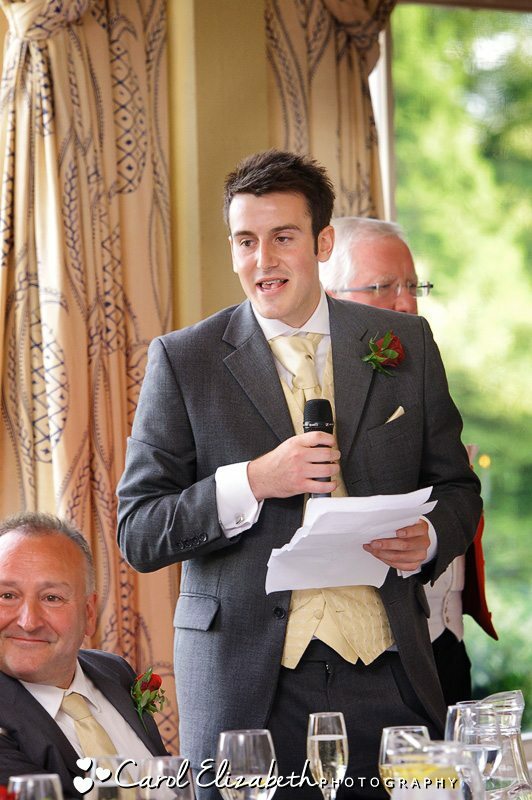 The evening festivities soon commenced, with speeches and then dancing, which I’m sure went on well into the evening. 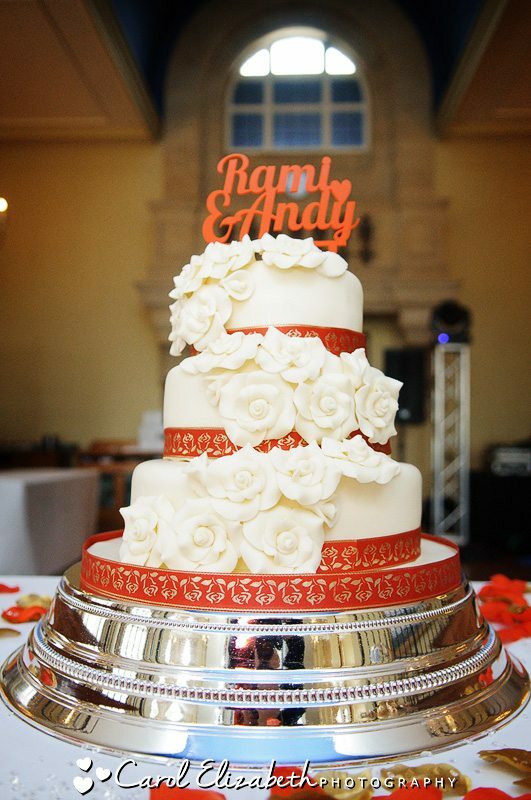 Congratulations Rami and Andy, wishing you a lifetime of happiness! 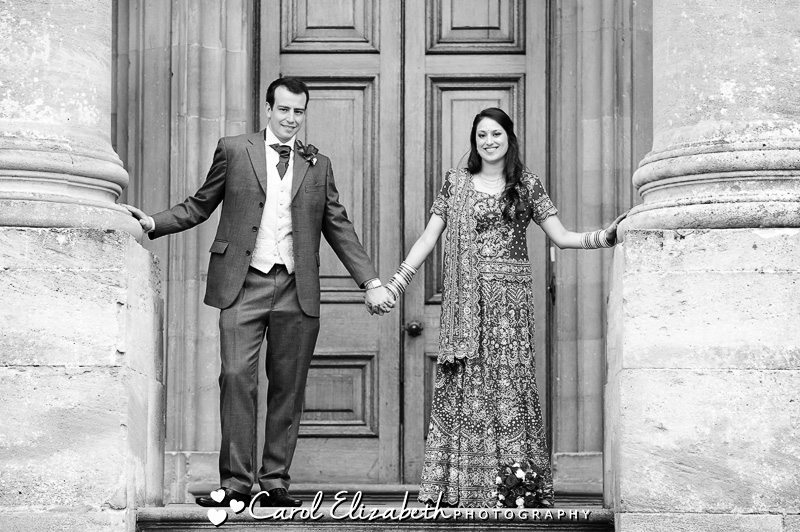 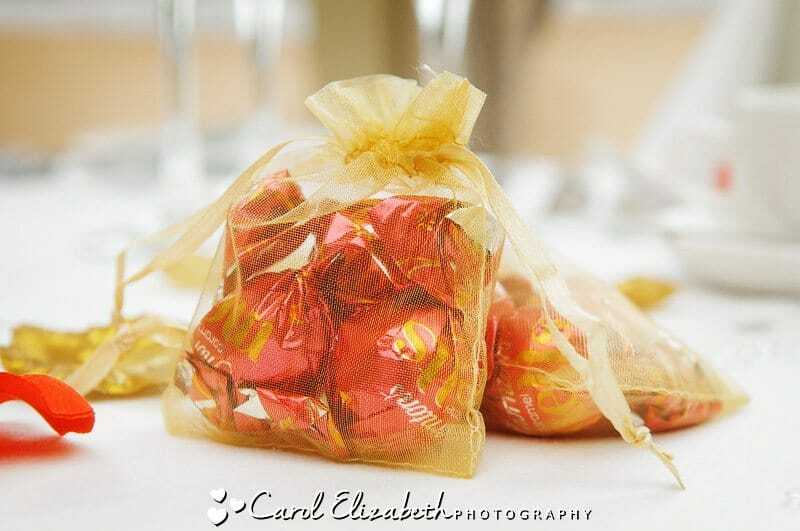 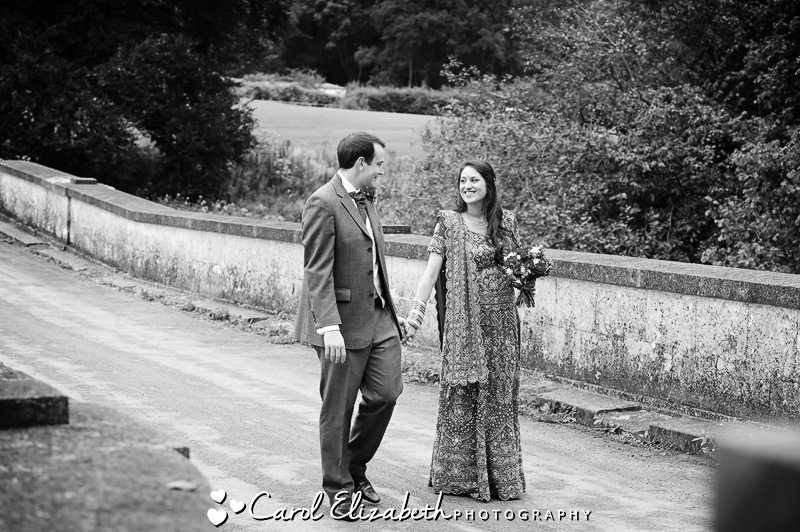 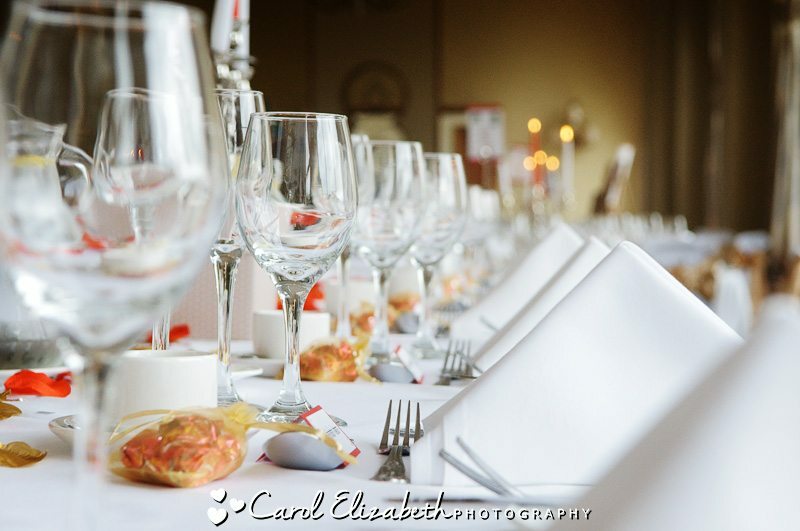 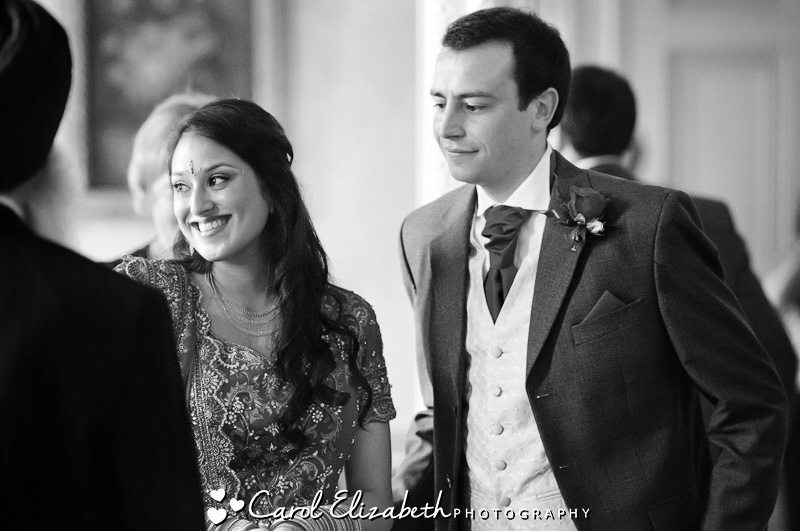 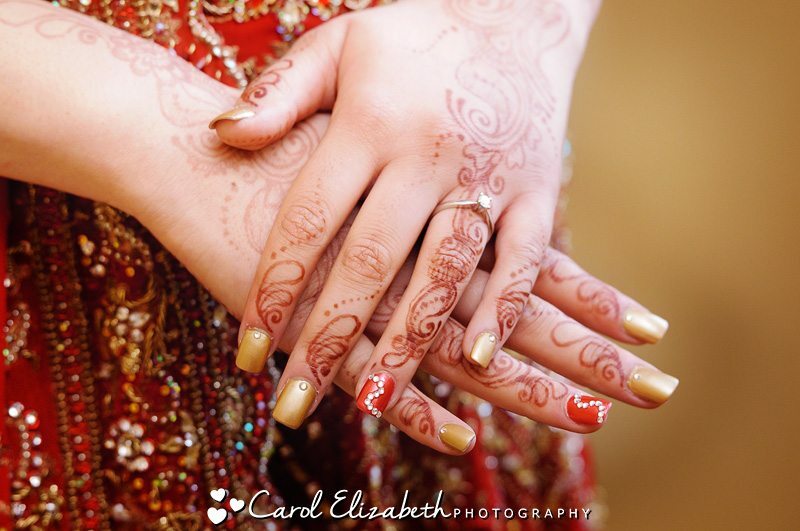 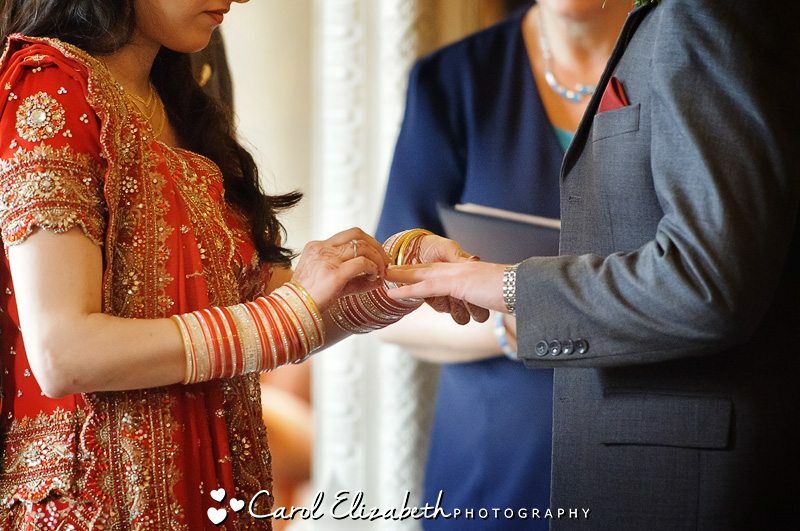 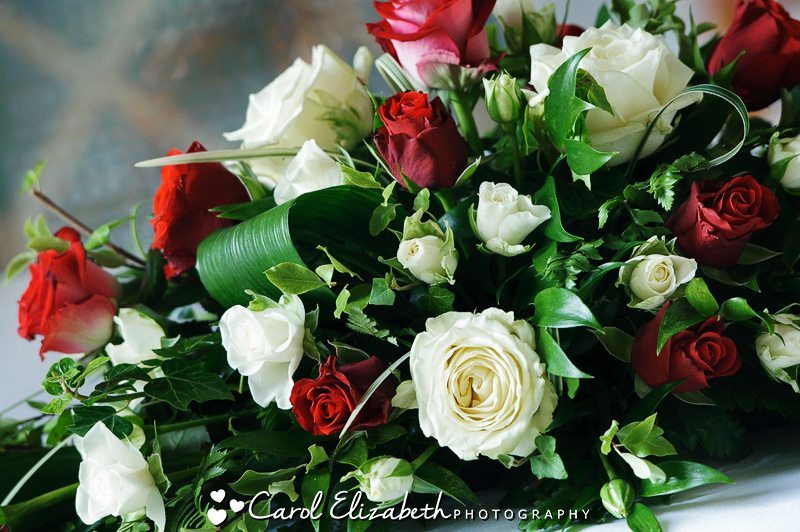 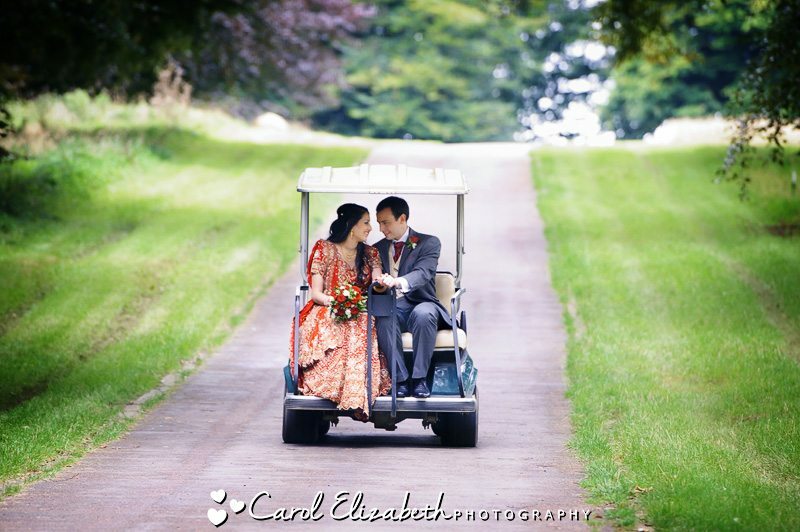 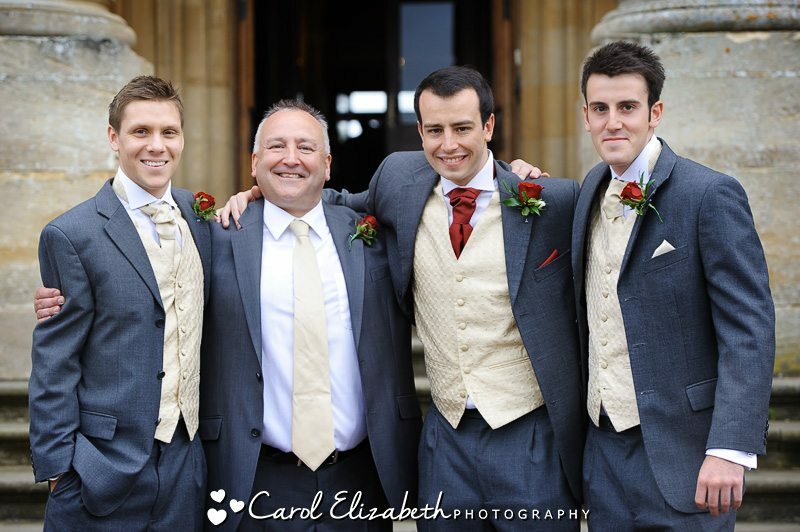 If you are interested in wedding photography Heythrop Park Hotel or if you would like to discuss booking Carol Elizabeth Photography for your Oxford wedding photographer then please don’t hesitate, call or email today! 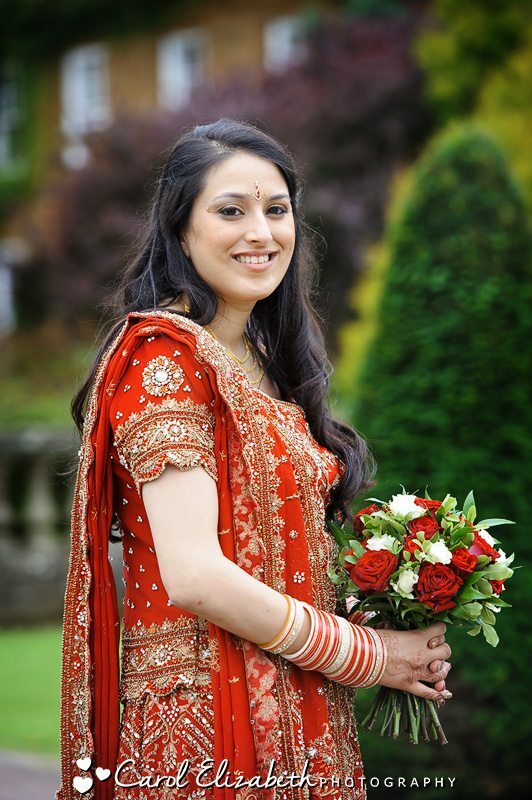 I would be delighted to meet with you for a no-obligation consultation.